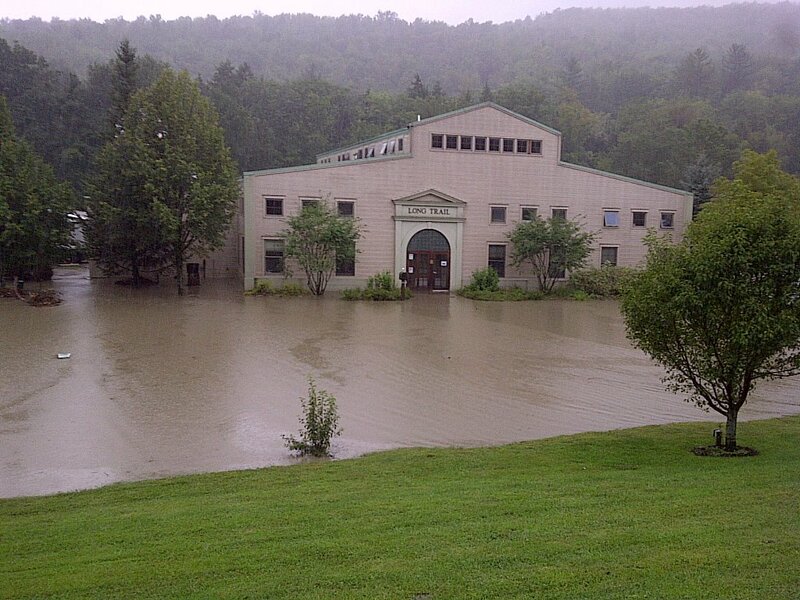 As my previous post mentioned, Vermont breweries were hit hard during the flooding in the aftermath of Irene. Here’s an update from some of the most affected breweries. 1. 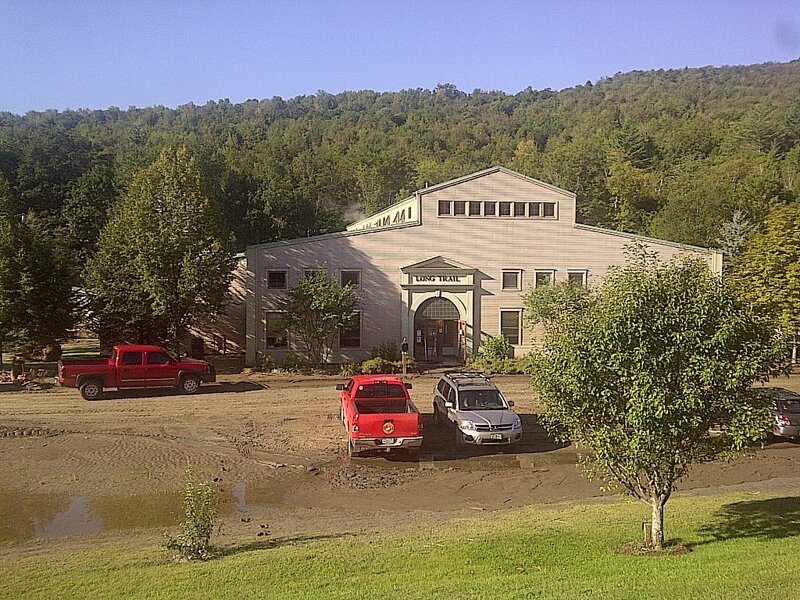 Long Trail Brewing: Initial photos from Long Trail looked pretty dire. This was a photo posted to their Facebook page shortly after the flooding. 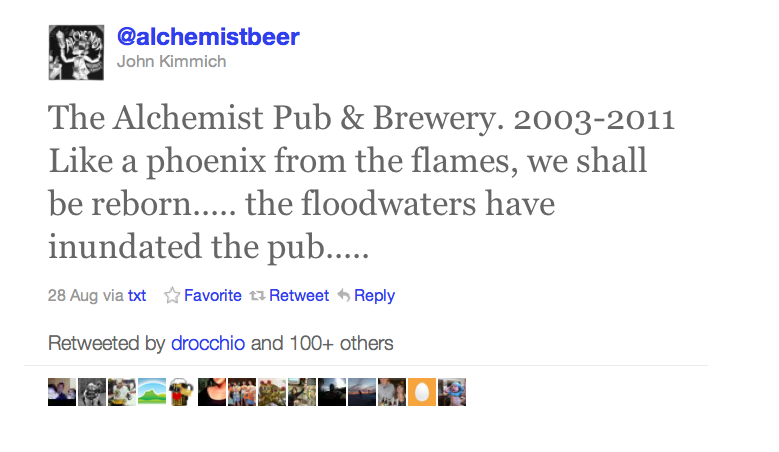 Though the flood waters surrounded the brewery, apparently very little water actually got inside to the equipment. Employees returned to work and began cleaning up the site the next day. This is the view two days after the first picture was taken. The brewery’s Facebook page described the parking lot as a “sight for sore eyes” but employees worked to clean it up and visitor center opened to the public on Tuesday. Another bit of good news: the deck, which is quite close to the water, remained intact and secured to the rest of the complex. Even more impressive: the brewery held an open breakfast for members of the community on August 31 and has been helping with relief efforts to the stranded communities of Stockbridge and Rochester. Job well done, Long Trail. You guys are truly amazing. The company also posted videos of their equipment hard at work on Facebook. The brewery is back open for business! As more information has become available, the situation has not improved for the pub. In an update published to the pub’s site, the extent of the devastation is apparent. At one point in the middle of the night, pretty much half the town was under around 10′ of raging, muddy water, with the river officially cresting at 20′. Not only was the basement completely full, but the dining room and kitchen were also about hip deep. Even worse, more than 100 homes in the Waterbury area have been partially or completely devastated. Here’s one view of the damage to the building itself. One bit of good news from this. The Alchemist’s cannery will open as planned on Friday, September 2. Please support them if you’re able. 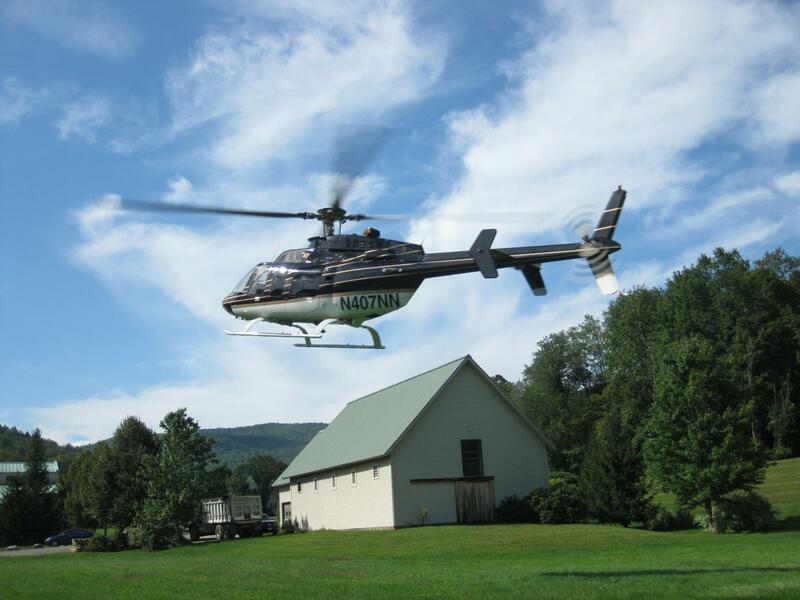 When I was a student at Middlebury, I completed the Vermont Brewery Passport. Though everyone at all of the breweries was kind and enthusiastic, the people at the Alchemist were truly remarkable. Unbelievably kind, welcoming and warm. Plus, they made delicious, delicious beer. I want nothing more than to see them get back on their feet. This is the type of local business we should all want to support. Thankfully, that seems to be exactly what they’re doing. They plan to rebuild and come back stronger. Can’t wait. According to an article in the Brattleboro Reformer, “water smashed furniture to pieces and deposited slimy mud on the floor.” That same article quoted a manager saying he was concerned about the pub’s ability to reopen. Truly heartbreaking to hear. I wish them all the best and hope they’re able to get back on their feet.